Autumn is the time to prepare for winter again and a time when all homes and businesses need to consider the jobs that need to be done to keep the family/ workforce well and safe over the winder months. It is worth considering a deep clean for your office or home while the weather is still good. A deep clean will eliminate all germs and pathogens which can cause disease or allergies. Heating and ventilation systems can collect dust, dirt and pathogens that should be cleaned out regularly to facilitate a properly functioning HVAC system for the winter months. Cleaning out gutters and drains is also worth considering at this time of the year. Dead leaves and moss can build up and lead to slippery surfaces during winter. Such conditions can be a slip hazard in wet or icy conditions and should be attended to. Autumn is also a perfect time for pruning trees and cutting back overgrown bushes and shrubs. Western Properties offer a full landscaping and tree surgery service. We can also look after your ongoing landscaping requirements. As soon as the weather gets cold every home and business will need a fast and efficient heating system. Now is the time to look at your boiler maintenance requirements. You may wish to upgrade your entire heating system to a newer more efficient system thereby reducing your heating bills over the winter months. Western Properties offer a full and reliable plumbing service to home owners and businesses throughout the Mid-West. If you have outdoor lighting at your home or business now is the time to double check that everything is in full working order. Many businesses depend on good quality safety and security lighting to keep their workplaces secure and their workforce safe during the winter months. Bulbs may need to be replaced or new lights may need to be installed. Western Properties can bring in their team of electricians to do a maintenance check of all your electrics both inside and outside. 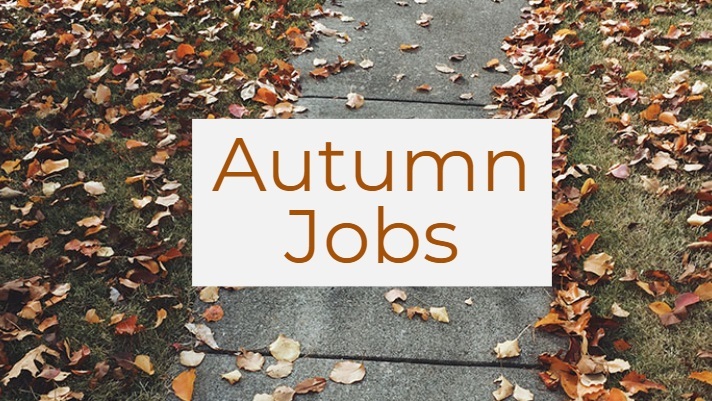 Contact Western Properties now to discuss your autumn jobs.